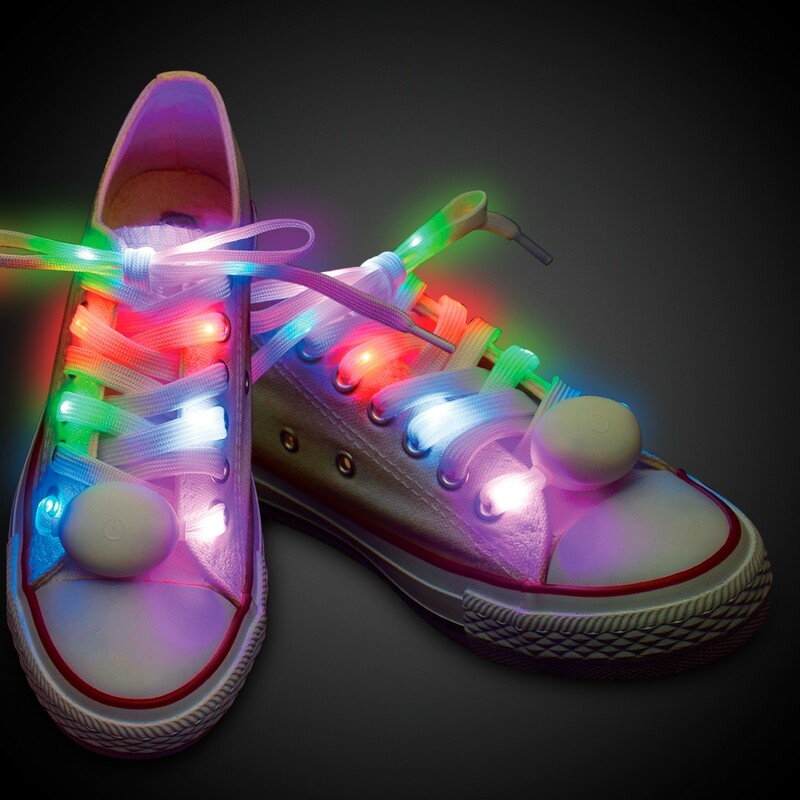 Dance to your own beat with the help our our flashing LED Shoelaces! 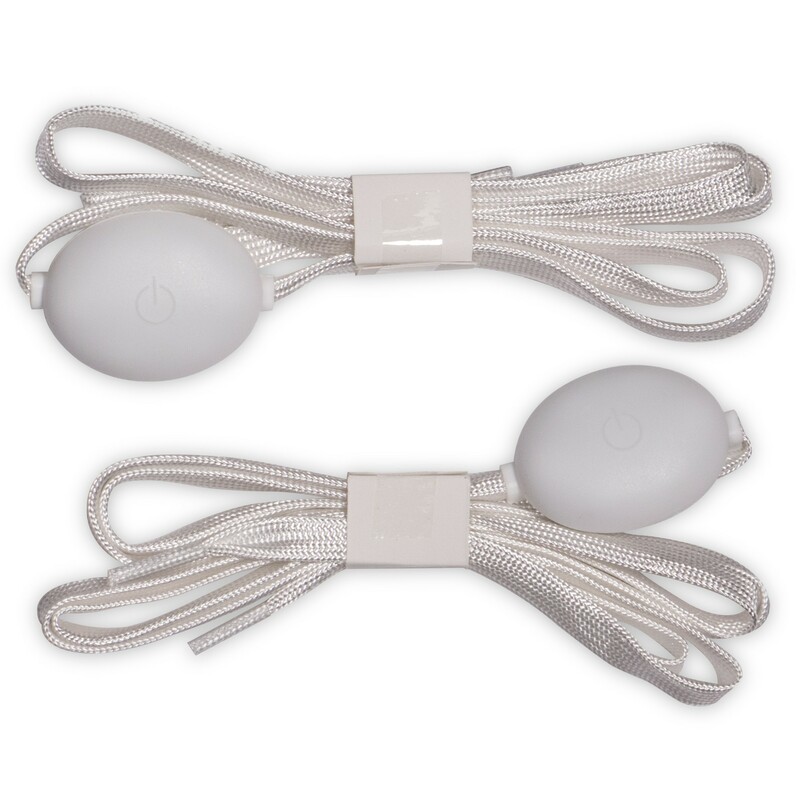 Our awesome LED Shoelaces blink and flash with the push of a button. 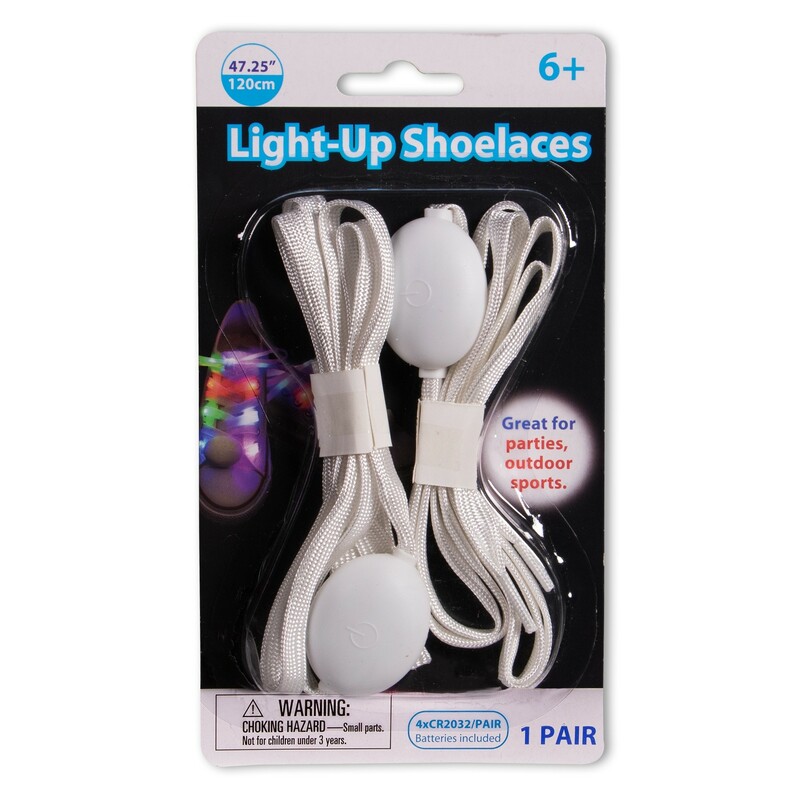 Lace up your shoes with bright multi-color LEDs inside of white nylon lace to make you the star of the show. Perfect for school dances, parties, raves, or other nighttime events. 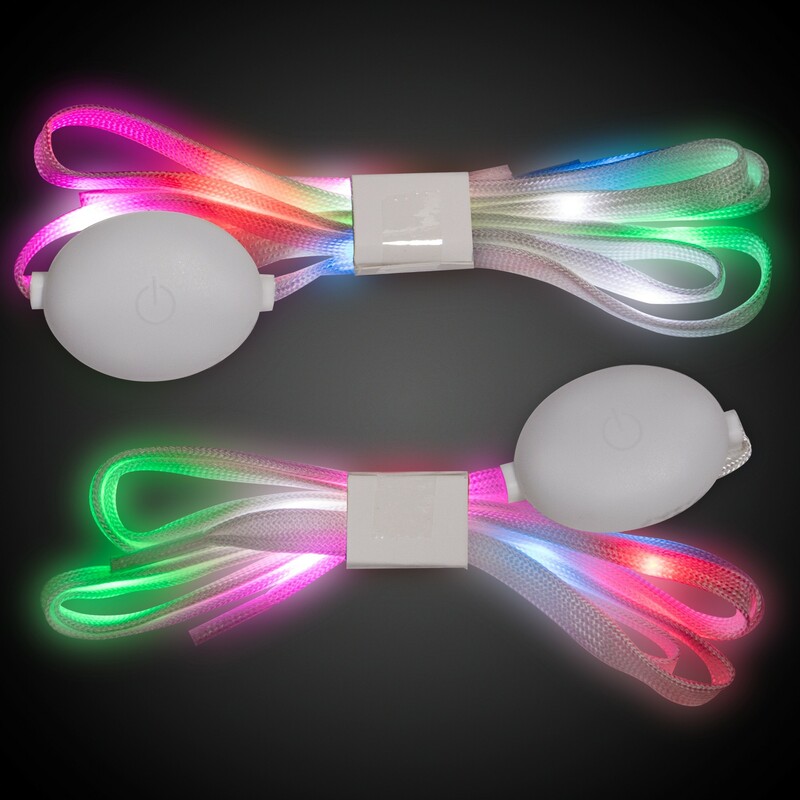 Our light up rainbow LED Shoelaces are sure to make a statement. They're even ideal for runners out at night or night time golfers, too. Each shoelace is over 24" long and can be laced through your regular shoes. Each turns on and changes to solid on or flashing with a push of a button. Sold by the pair. 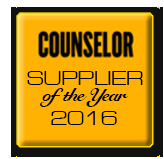 2 CR2032 batteries are included and installed but cannot be replaced. Please order in increments of 1 pair. Sorry, not imprintable.